Biochemistry and Biotechnology are branches of life science, the former being the chemistry of biological system and the later deals with the application of technology to study the biological system. Biochemistry is the study of metabolic processes within the living system and the disorders which arises due to defect in these processes whereas Biotechnology helps to observe and modify the biological mechanisms which helps improving lives and health. Journal of Biochemistry and Biotechnology, a newly launched journal focuses on updating and advancing the biological science through the rapid publication of high-quality original research, systematic reviews, meta-analyses and technology reports, perspectives on all disciplines and therapeutic areas within the specialty. 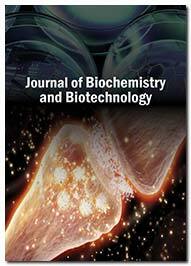 The journal is directed for the biochemists and biotechnologists as well as those related to the branches of these fields. The mission of the Journal of Biochemistry and Biotechnology is to provide a wide platform to the researchers to deliver their novel researches in these broad areas including its subdivisions such as clinical, plant and animal biochemistry, molecular biology, metabolism, biomolecules which will in turn help the research community to update themselves with the recent developments in biochemistry and Biotechnology. Journal of Biochemistry and Biotechnology is an open access journal designed for the wide dissemination of research in these areas to worldwide audience. New developments in methodology and techniques are important resources for the research community. The journal scope encompasses the knowledge in the vast areas of biochemical and biotechnical research of every entity of the living system including enzymology, metabolism, immunology, endocrinology, recombinant DNA technology, cell biology and diseases or pathological conditions in the biological system. Individuals interested in becoming members of the Editorial Review Board should contact by the below e-mail.